Peacock Bar is located on the Main Street just East of the main strip of restaurants and bars. 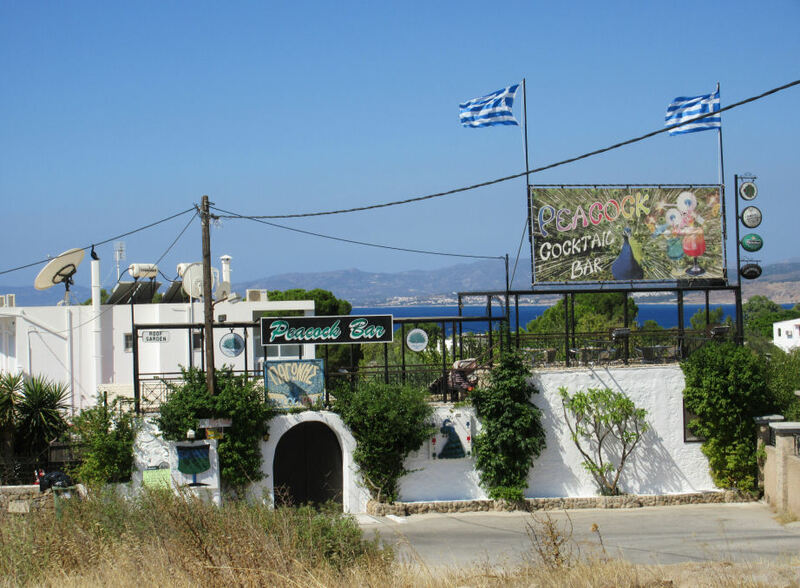 The Peacock Bar is a popular bar in Pefkos. Set about 100 yards back from the road, it has some great Happy Hour prices. It's a completely open air inside a courtyard with lots of climbing flowers. The staff are very friendly and service is good. 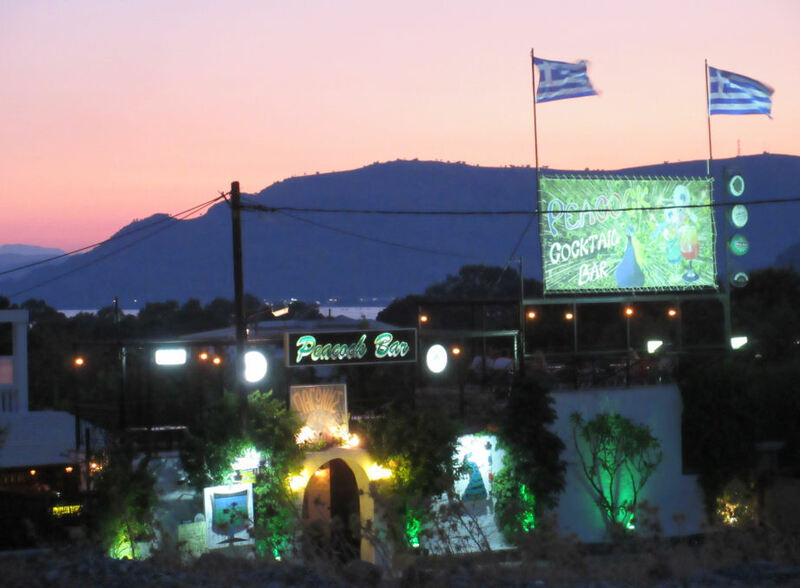 Lot's of people staying at Lindia Thalassa, Pefki Island or the Finas use the Peacock Bar as a convenient watering hole on their way out in the evening, as it's on the route to all the restaurants. Peacock live wild in various locations in Rhodes. The kings of ancient Persia domesticated the peacock as a decorative bird. Greek kings in turn imported Peacocks from the Persian Empire. According to Greek mythology, the "eyes" on the tail of a peacock were placed there by Hera (the wife of Zues) to commemorate her faithful watchman, Argus who had a hundred eyes.